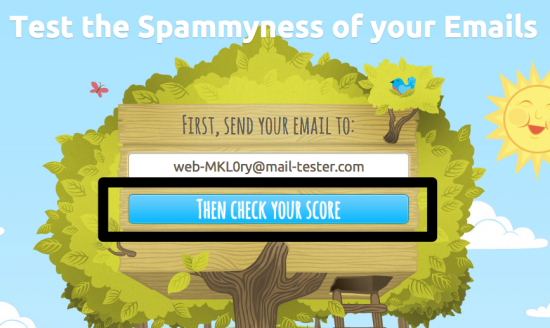 MailPoet has developed its own spam score tool called mail-tester, which is available to all for free. If your score is above 7 or 8, you should generally be fine. 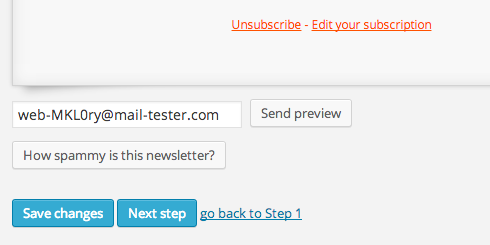 Simply ask some of your subscribers if they get your emails. You are blacklisted. We then recommend you to send with a professional provider. SPF record. Contact your host in order to set this up. Here are some handy guides to get you started. DKIM is not in place. Read our guide on this signature. 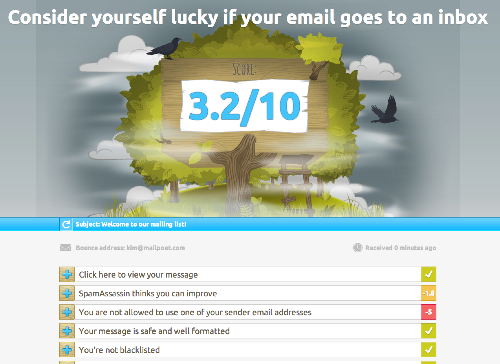 Your newsletter has bad keywords, according to SpamAssassin. 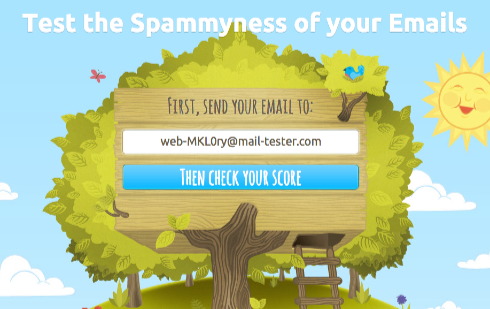 You can read more in our 6 Golden Rules for MailPoet users, or read a nice explanation for what DKIM and SPF are useful for on our Email Authentication article..